DeAGOSTINI re-issued weekly magazine, `Weekly Robi` with biped robot parts of Robi on Feb 25th, 2014. Robi parts are attached every weekly magazine. Robot will complete with 70 volumes of magazine. The first issue price is 790 yen including tax. Price of the 2nd issue will be 1895 yen excluding tax. Gingmag also introduced the issue of `Weekly Robi` in English. Tomotaka Takahashi who is well known as robot creator such as CHROINO, FT, ROPID, EVOLTA etc., designed Robi. 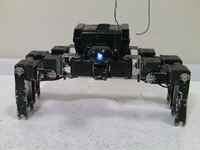 Control board of Vstone Co., Ltd is used for the robot. Servo motors of Futaba Corporation are used with 20 axes. Voice-recognizing board and Human-detect-sensor are also attached. The weight is 1 kg including battery and the height is 340 mm. 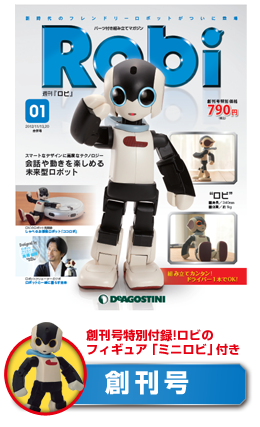 DeAGOSTINI issued weekly magazine, `Weekly Robi` with biped robot parts of Robi on Oct 30th, 2012 and on Feb 19th,2013 . 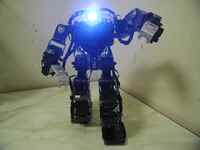 DeAGOSTINI also issued weekly magazine, `Weekly ROBO XERO` with robot parts of ROBO XERO on Feb 8th, 2011. Robot has completed with 70 volumes of magazine on June, 2012 and the details were described in this blog.